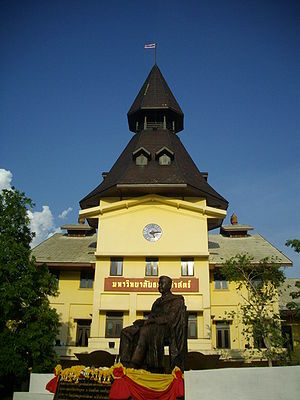 Every year Thammasat University in Bangkok, Thailand hosts the Global Social Venture Competition for the Southeast Asian region (GSVC-SEA). This business plan competition is focused on promoting new social ventures and social entrepreneurs by providing a forum for these venures to get exposure and funding. The Global Social Venture Competition (GSVC) was launched in 1999 by the Hass School of Business of the University of California at Berkeley, USA. It was the oldest and largest competition of its kind, to promote entrepreneurial start-up companies which offer measurable social or environmental benefits in addition to profits. These social impacts can be in the areas of health, education, environment, etc. By 2010, GSVC has grown to include over 500 teams worldwide, partnering with many of the world’s top business schools, including the Columbia Business School, the London Business School, and the Indian School of Business. its mission and practices. Executive summaries must be submitted before 11 pm (Bangkok time), 15 January 2011 to qualify. Please see more detailed rules, regulations and past winners on the website www.gsvc-sea.org. After the submission process, all entries will undergo the first judging round. Groups of professionals, academics and students gather in Bangkok to review and debate in small groups about the various social ventures submitting. Finally, 12 teams are selected to be the regional finalists who will then come to present their business plans in a two day event in Bangkok, Thailand in March 2011. Each team will be allowed 15 minutes to pitch their plan. Following their presentation, a panel of judges will engage the team in a series of questions regarding the technical, business and social impact aspects of their proposed venture. The top two winners of the business plan competition will be sent to the Global Social Venture Competiton Global Round (GSVC Global) to compete at the University of California, Berkely, USA. In addition, the social venture with the best social impact assessment will be showcased in the Global round. Here’s a former GSVC-SEA winner who spoke at the 2010 GSVC-SEA Symposium: Lex Reyes talks about RuralLight at GSVC 2010 from Marielle Nadal on Vimeo. Posted on November 17, 2010 June 14, 2011 by JoannePosted in Bangkok, Business, environment, Event, Health, social entrepreneurship, social value, ThailandTagged Bangkok, buisness plan competition, Business plan, GSVC, GSVC SEA, social enterprise, social entrepreneurship, social value, social venture, southeast asia, Thailand, Thammasat University.